The idea of ​​establishing a human presence on Venus may seem strange because the surface temperature of the planet approaches 500 degrees Celsius, its atmospheric pressure is similar to the pressure of the deep seabed and there is almost no oxygen. In addition, rains of sulfuric acid fall on the planet. However, in the 1970s the Soviets and the Westerners concluded that although the soil of Venus presents prospects poor enough for human colonization, some layers of its atmosphere seem much more welcoming. In a report published in 2003, Geoffrey Landis, a NASA researcher, writes in a report that at about 50 kilometers above sea level, the atmosphere of Venus is closest to Earth conditions in the whole solar system. He recommends the exploration of its atmospheric layers using airships and the colonization of the planet with floating cities. It is true that despite the unwelcoming conditions on the surface of the planet, the atmosphere of Venus has several advantages to seduce explorers and settlers. 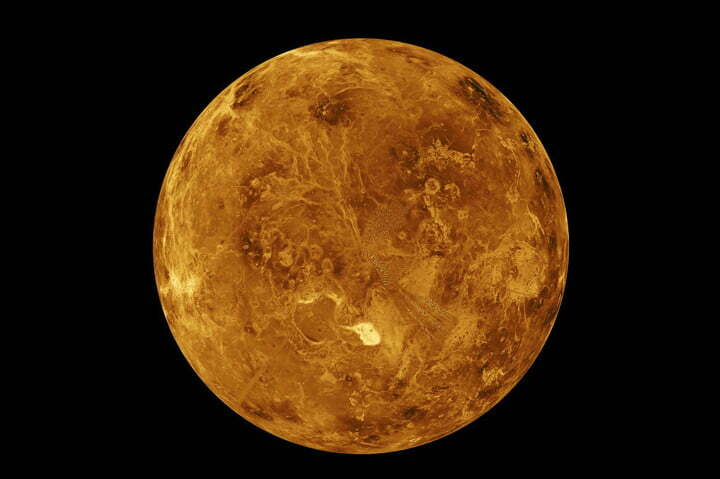 Venus is the closest planet to the planet Earth, which means reduced costs and reduced travel times. With chemical and traditional rockets, it is possible to reach the star of the shepherd in a little over three months. The Soviet space probe Venera 1 made the journey in 97 days. It’s almost half the average travel time to Mars. Another advantage : the opportunities to launch a rocket to Venus are closer than those to the red planet. The Earth is Venus are closer to each other every 584 days against 781 days for Earth and Mars. The installation of a colony in an atmospheric environment at about 50 kilometers of altitude brings many advantages. First, this greatly limits the risks associated with decompressions. At this altitude, the atmospheric pressure is 1 bar, which is the same pressure as on Earth at sea level. Explorers and settlers could even walk without special combination, provided to bring with them a bottle of oxygen. The gravity felt is about 90% Earth’s gravity, which would just provide a feeling of lightness. Temperatures range from 0 degrees to 50 degrees Celcius and solar energy is abundant as most clouds are below this altitude. Finally, this environment provides radiation protection almost similar to earth conditions. Although Venus has a weak magnetic field, its thick atmosphere allows to filter a big part of the radiations, even at 50 kilometers of altitude. Of course, not everything is perfect on Venus. The scarcity of oxygen would force settlers to live permanently in controlled environments and the presence of traces of sulfuric acid would force them to treat and inspect all structures against corrosion. But when one compares this to the Martian conditions, life would probably be sweeter in the floating cities of Venus. Geoffrey Landis in his report highlights an interesting point. 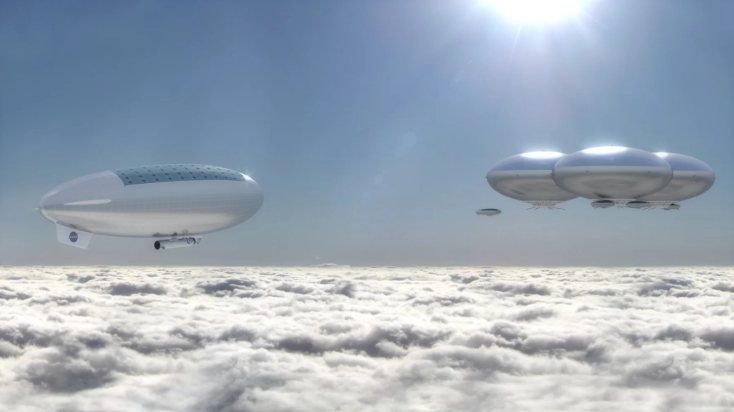 At 50 kilometers altitude, in the atmosphere of Venus, the air is a gas carrier. In other words, rather than suspending structures from balloons, it would be possible to live in the balloons themselves, once filled with air at ambient pressure. A spherical envelope one kilometer in diameter would be able to support 700000 tons of materials and structure. If we go to an envelope of 2 kilometers in diameter, 6 million tons could be kept in the air. As the pressure inside and outside the envelope would be similar, even wide holes in the envelope would take thousands of hours to leak a significant part of the internal atmosphere. However, the days on Venus are very long, 116 days on Earth. But the atmospheric winds circumnavigate the planet every 100 hours. Buoyed by these winds, the Venusian floating habitats would have days and nights of 50 hours each. 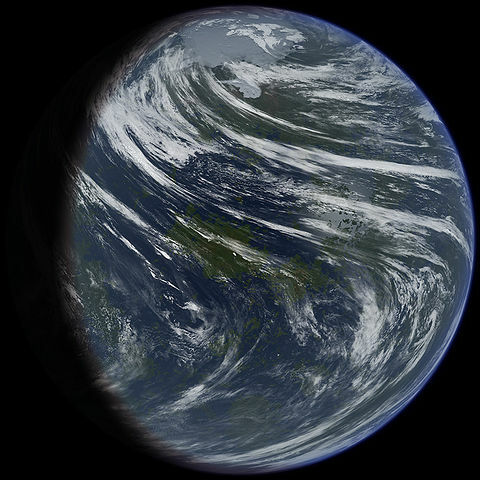 The outer face of the habitat could be entirely covered with solar panels because the white clouds of the planet reflect a large part of the light. Thus, the solar panels pointing down would produce almost as much energy as those pointing towards the sun. The atmosphere could also provide some of the resources needed for human settlements : oxygen could be extracted from the abundant carbon dioxide, and hydrogen could even be produced for propulsion, for example from acid sulfuric. But it will take a long time to bring millions of tons of materials into the Venusian atmosphere. 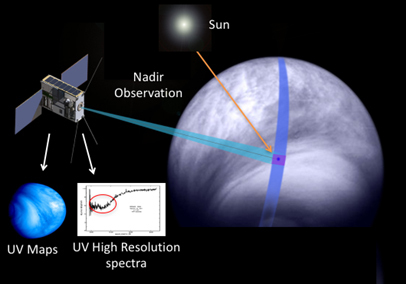 In the shorter term, NASA has been interested in human exploration of the atmosphere of Venus through the HAVOC project. HAVOC exists for the moment only in theory, and probably for a long time. 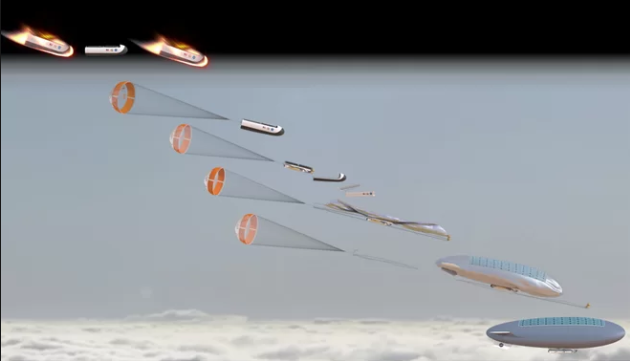 However, the project shows what an inhabited mission to the atmosphere of Venus might look like. The project imagines a series of missions using airships first robotic then with a human presence for missions of 30 days, one year and finally the installation of a permanent base. 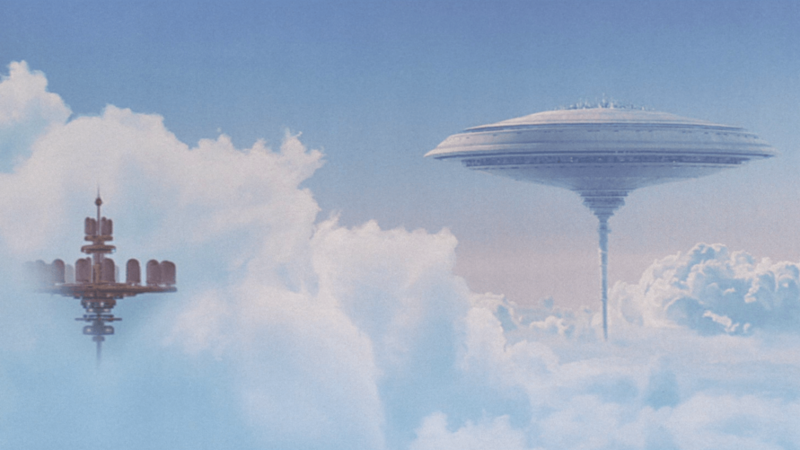 Despite the many advantages offered by the Venusian atmosphere, travel and logistics represent significant challenges. Having to deploy an airship in the middle of an atmospheric reentry is complicated, and it is probably because of these technical difficulties that the attention remains on Mars. 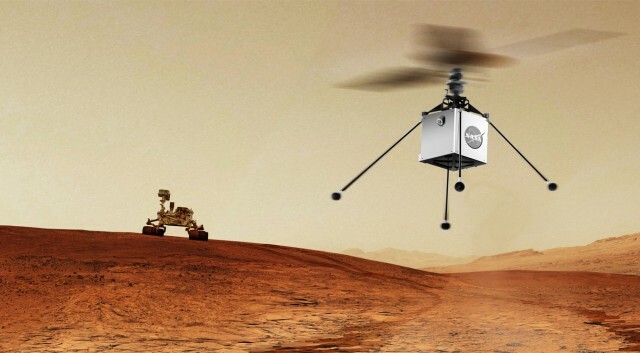 Because although Mars has almost no atmosphere, almost no protection against radiation and sunshine, and low surface temperatures, it has a floor where a conventional rocket could land and leave, a process that we know well on Earth. In the longer term, if the atmosphere of Venus is already the most welcoming environment of the solar system after the Earth, terra-formation could turn Venus into an almost perfect planet. In the very distant future, the efforts required for the terra-formation of a whole planet require colossal amounts of energy and probably at least centuries of engineering. In the case of Venus, there are three major challenges. The first is the decrease in surface temperatures. This could be achieved using solar shields. Robert Zubrin, famous engineer of Lockheed Martin and founder of the Mars Society, imagined to place solar shields at the Lagrange point L1 of the sun-Venus system. 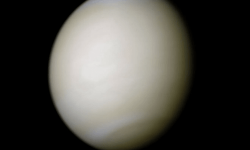 By reducing the amount of solar radiation received by Venus, temperatures could be reduced to a certain extent. The floating cities proposed by Landis could also play this role by coming to absorb some of the radiation. The second big challenge, of course, is the atmosphere of Venus. It is composed of more than 95% of CO2, a gas with strong greenhouse effect as we unfortunately know well on Earth. The problem therefore consists in first setting this gas. One of the solutions could be to bomb Venus with hydrogen. Hydrogen and carbon dioxide react together to form graphite and water. Less CO2 and more water would be the ideal solution, but 40 million billion tons of hydrogen would be needed. Another solution would be to bomb the planet with calcium or magnesium, this would trap carbon in the form of calcium carbonate or magnesium, but again absolutely astronomical quantities of these materials would be needed. The last big challenge of Venus is its very slow rotation speed. Days represent 243 days on Earth, which is not really welcoming for life as we know it. There would be several solutions, for example using mirrors to create artificial days during the long nights of the planet. It is also assumed that there are strong correlations between the slow rotation of the planet and the high density of its atmosphere. The effects of atmospheric tides may have played a role in slowing the rotation of the planet. All of this makes Venus perhaps not the ideal candidate for terraforming. The huge efforts that should be implemented could just as well fund the production of many space habitats. The exploration and why not the colonization of the upper atmosphere of Venus represents an interesting medium-term objective for all actors in the space sector. Priority seems to be given to Mars but it is hoped that Venus will find its place in the future plans of humanity.